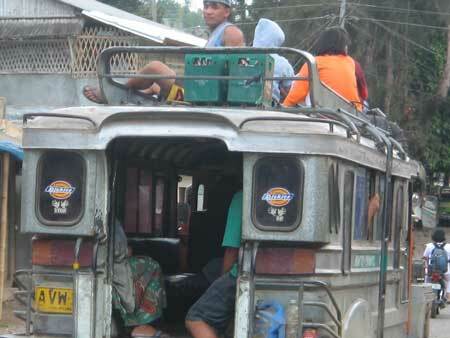 It started out many months ago when I asked an expat resident if it's possible to cross the Cordillera and Ilocos mountain range from Sagada, to reach the west coast, instead of taking the 7-hour bus ride south to Baguio and then another 5-hour bus ride north to Ilocos (12 friggin' hours!). He was uncertain but he said it might be possible via Cervantes, but I may have to spend a night there to get the connecting trip. He added that Cervantes is a little-known and little-used way....rough country that cuts through the historical Bessang Pass. Cervantes wasn't even mentioned in Lonely Planet, whick added to its mystique. That got me curious. Further inquiries amongst the locals and expat residents brought me vague answers..."there's no way there", "you'll be taking a chance", "better take the (longer) Abatan way", "if there's ever a trip, I don't know what time". I got more curious, but let off. Seeing Baguio's unplanned urbanization go unabated (congestion, pollution, etc.) 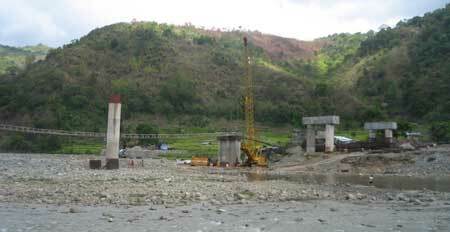 and seeing how Sagada is bursting at the seams (construction all over, continued paving of the main roads, etc. ), I asked a few persons well acquainted with the Cordillera, "if Sagada becomes the next Baguio, what place is likely to be the next Sagada?". I got the same answer - Balbalasan. Looking into the map, I saw how remote it is. 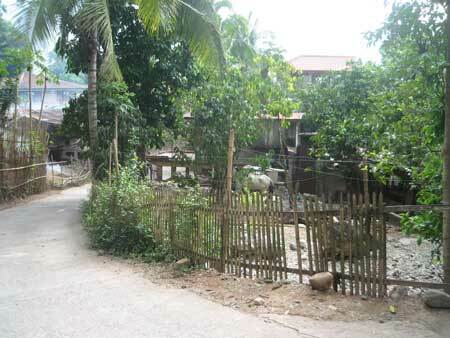 It's in the northernmost reaches of Kalinga country, waaaay further up than the tourist destination of Tinglayen. I looked it up on Lonely Planet...it's not even mentioned. I was told that the ride along its deep canyon is truly spectacular. Somehow, the word Shangrila came to mind. I had it bookmarked in my mind. As I was reading up on Lonely Planet, it just hit me. I'd been living in the Cordillera for nearly 9 months now, and I haven't done anything to explore areas outside Sagada. It was the Canadian haunt coming into play again. I lived in Toronto for God knows how long, taking for granted the other interesting places on the east coast I could have gone to or things I could have done...skating the Rideau Canal during the winter, Montreal Jazz, Quebec nightlife, etc. Now that I'm halfway around the world, I feel terribly bad I didn't do those things. I was consumed by the haunting what if and should have done that thoughts. Hmmm....not this time. At that point, I knew I had to take off. The first thought that came to mind was to try the Cervantes-crossing and upon reaching the west coast, go north to Abra and then head east on an 8-hour ride back into the Cordillera and finally to Balbalasan...if there is public transportation that can do it. 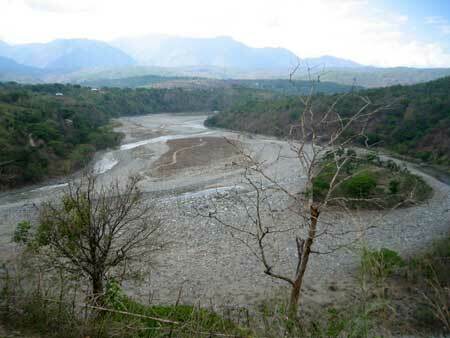 I was told that there's only one trip per week and that the jeep leaves only on Saturday; and that's even assuming the Abra river is low enough to be passable (there is no bridge). Another version I got was that the jeep doesn't go all the way to Balbalasan; that I'll have to cross a pass by foot in order to get there. 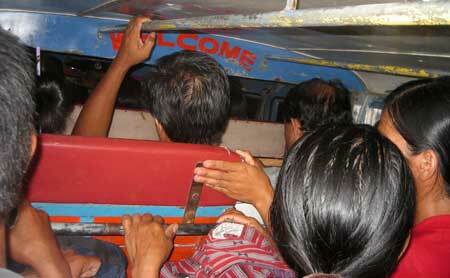 First thing Monday, I was already on board the bus to Sabangan. 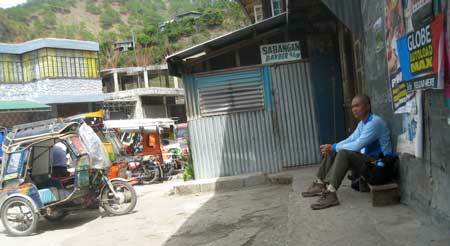 I asked the locals what is there to see or do in Sabangan...caving? treking? Except for a scenic view of their terraces, there wasn't any. I inquired about a jeep to Cervantes. I was surprised to get varying answers...and this is already from the locals; "there's no jeep from here, go to Abatan instead", "you already missed the only trip", "there are 2 trips". I got a few common answers though, which I believed; that the only trip leaving from Bontoc at 9:30 am, had a double flat and will be late. I waited, and waited, not leaving my spot, until the jeep came, 2.5 hours late. The ride wasn't as tough as I thought. 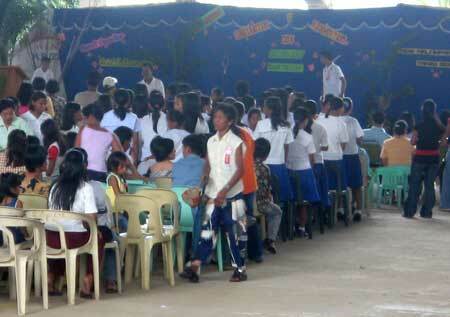 It was a mixture of paved and rough roads that made stops at Bauko and Tadian. From Tadian, I top-loaded myself to take advantage of the view. 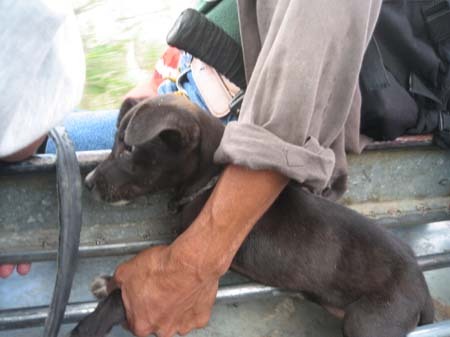 Riding with me on top were school girls who were accustomed to it. At some point, we reached the Abra river. There was a bridge under construction. The river was low enabling the jeep to cross it. I was thinking...what happens during the rainy season when the water level is high? Upon reaching Cervantes, I learned the first trip to Tagudin, the first town to be hit along the Ilocos highway, leaves at 7 pm - a 5 hour wait. Again, I asked the locals about things to do or see while I waited...nothing! I walked around town, stopping by the town covered area for the graduation ceremonies, going through the narrow streets, coffee at a nearby store...but it was tough to kill 5 hours. Finally, 7 pm! I thought the jeep would start heading out...wrong. It went around town, picking up passengers who made earlier reservations. It took an average wait of 5 minutes for them to come out of the house, load their luggage and get seated. Multiply that time with about 15 passengers and it's easy to figure out we didn't start heading out until 8:30pm. They crammed 5 people in a row seat for 4. If you had your cellphone in your pocket, it was so tight, the keypad would indelibly leave its mark on your thigh. It was impossible to move forward either since there was no legroom. The jeep was poorly vented, and every passenger was either carrying his luggage on his lap or carrying a barfing child on the lap. It was so packed, I could hardly breathe or move the entire trip. We actually had it good. I feel sorry for the guys who top-loaded. They had to endure the 5.5 hour trip seated on round metal bars, no benefit of sleep, and get this - it rained! They braced themselves with the cold mountain wind while soaking wet. There was no relief. It was pitch black during the rough night ride. We couldn't see the view. 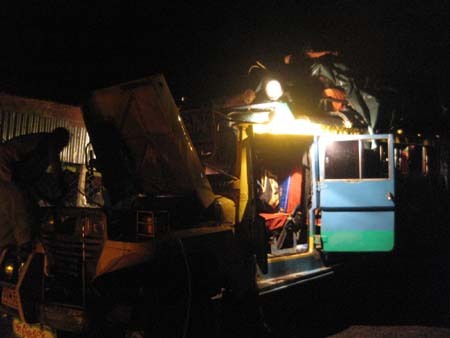 At some point, all the passengers fell asleep, with heads banging together as the jeep rode over ruts and rocks. My only thought was, "...what the friggin heck am I doing here?". I arrived Tagudin, Ilocos Sur, 12:30 am. I checked into a motel and woke up to a hot and humid morning. I guess I did it...cutting through the Cordillera and Ilocos range to reach the west coast, and demystifying the 'Cervantes crossing'. At the same time, I was asking myself, "...what's the point again?". Shouldn't that be fun? I already missed Sagada and was ready to turn back. But that was only the start of what would be a weeklong backpacking to...I still don't know. bring trail mix and water - I was hungry waiting for the jeep but could not go to the nearby restaurant and risk missing the jeep. 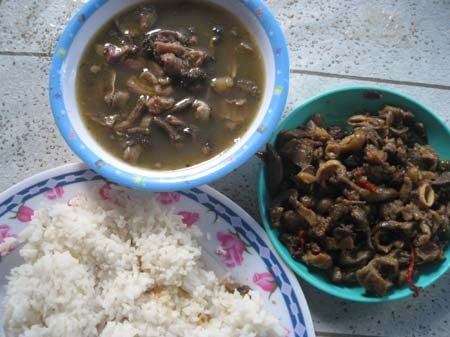 I miss it and I have to wait 'til the next day. ask more than 1 person - don't be surprised to get a different answer from everyone. See if you can get a common answer. 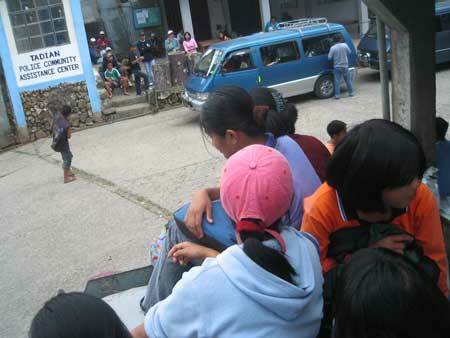 Sabangan to Cervantes - there's only 1 trip from Bontoc, passing by Sabangan between 10 to 10:30 am, 1.5 hours, P70. Cervantes to Tagudin - there are 2 trips going to San Fernando, La Union leaving at 7 pm and 2:30 am. Get off at Tagudin, 5.5 hours including door-to-door pick up of passengers, P120. (May 11, 2011) The last time I made a trip across that pass was still in Mar 2007. As late as 2 years back, I heard (but unverified and unconfirmed) that the dirt roads have already been paved. Sorry, that's all I have for now. Good luck! (May 11, 2011) Wonder if you can advise me on mountain roads please? 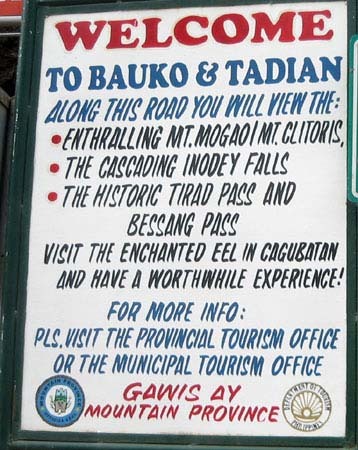 Between San Fernando and Vigan there is a town called Tagudin and a road leading inland from there to Cervantes and Bessang pass which then follows down to the Bontoc valley near a place called Sabangan towards Sagada. I am trying to find out what this road is like? As we want to bike this on our road bikes after the upcoming Tour of Hope Cycle tour. Do you have any experience of it please? 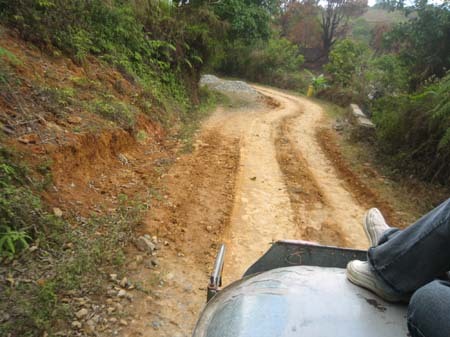 (Apr 16, 2010) I might just go down to Baguio. At least I wouldn't be stranded in the middle of nowhere. 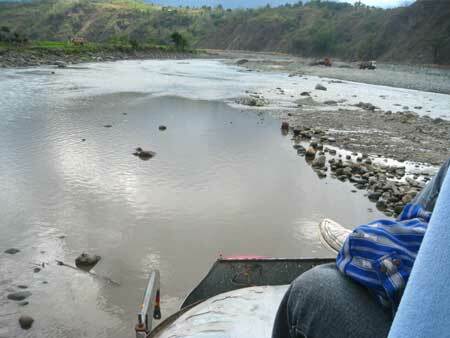 My friend says Bontoc-Vigan road is still passable but the trips are not regular. Thanks anyway. Your articles are a great help to us first-time travelers! (Apr 16, 2010) Hmmm...that's a tough one. My trip there was years ago...and things could have changed radically by then. Besides, I have no information about reversing the trip...I could also think of just backtracking the process...so your guess is as good as mine. As you have read, prior to my trip, I asked so many people and they all gave me a different answer. My best advise? Just reverse the process being prepared to spend overnight as they may only have 1 trip a day and you could have already missed it. And ask many people...at some point, you'll notice a common answer....be guided by that. Sorry, I'm really not much help. (Apr 14, 2010) Hi I'm Louise. I'm actually from the Philippines but I've never been to the Cordilleras. 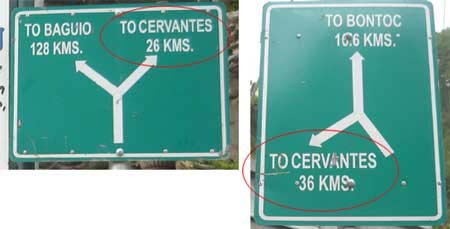 I was looking for some tips on how to cross the same provinces you mentioned in Crossing Cervantes but it's the other way around. I'll be coming from Vigan. I was just wondering if you know some tricky routes that would get me across to Bontoc in less than two days as i also have no plans of going down to Baguio to proceed to the Mt. 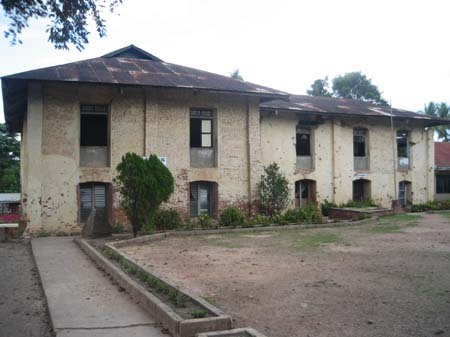 Province. I'm trying to imagine the reverse of your route but I'm not sure if the schedule for the trips would be earlier or later than that of your rides. (28 Apr 2008) After reading Crossing Cervantes and your quest for Balbalasan, I thought about those moments I also got mystified looking at Lonely Planet guidebook maps (mine is an old Jens Peters edition) and wondering what's in store for the intrepid soul in those obscure places. I'm just glad the Philippines isn't a Thailand choking with tourists - this leaves us with more chances in hitting less known, less crowded territories. 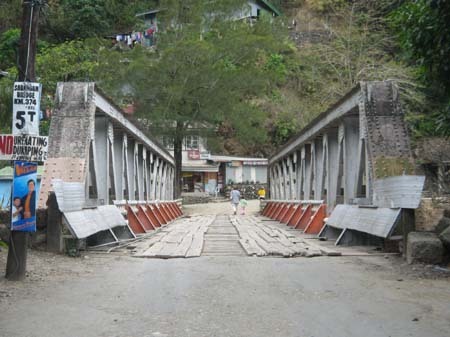 Should my next Philippine vacation include another visit to Sagada, I'll definitely be dropping by. Balbalasan sounds intriguing to me.